Retaining walls and boundary walls, patios, pools, walks, paths, driveways and gardens frame the architectural and structural footprint of the outdoor spaces of your property. They lend definition, dimension and form to these areas and are an important aspect of developing any landscape environment. The quality of the hardscaping and stone work elements establish the appeal, character and flavor of your property. The selection of natural stone pavers versus, concrete or brick ones will establish a look and style that is a reflection of your landscape’s overall composition. This is where our custom stone work services come into the picture. 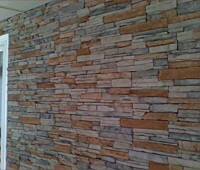 For all types of stone work design and installation solutions, we are the experts to call. At Keenkut Landscaping, we are passionate about what we do and it’s how we have built a vast customer base in and around Westfield, Agawam, and West Springfield. Our high quality services have earned us the trust of commercial and residential clientele in Longmeadow, Springfield, and Chicopee. We have completed a large number of similar jobs as part of landscaping projects in Windsor Locks, and Holyoke. Word of our expertise has spread to East Longmeadow, Easthampton, and the surrounding areas as well. If you’re all set to make a dramatic change like installing a patio or outdoor kitchen, or constructing a seating wall and paved spaces around your new fireplace or fire pit, we have the solutions for you. For over 10 years, Keenkut Landscaping has provided creative hardscaping solutions to clients across the region and has emerged as a leader in the industry. If you are considering installing masonry and stone steps, a dining patio/raised patio, fire pit/fireplace, water features and more, you are at the right place. The excellent stonework designed and installed by our team of seasoned stonemasons will provide you and your family years of enjoyment and will add to the beauty and value of your property. Let our custom fabricated stonework, hand tooled walls, paver installations and other custom stonework add to the uniqueness of your landscaping. Larger landscapes like the ones on commercial properties lend themselves very well to the addition of various stone-based installations. We can create walls for tiered landscapes, garden steps, and boundary walls. Dry-laid and wet-laid flat stone add an artistic touch to various features on your property. Whether you are looking for decorative natural stone inlays, complex regular/irregular stone patterns, copings, pool patios etc., we assure you of the best services. We handle every job, big and small, with the highest levels of expertise and dedication. Our team works closely with you to ensure you get the kind of landscapes that will be a reflection of your styling preferences and needs. When you want reliable, professional services at very competitive stonework cost, you need look no further than Keenkut Landscaping. You can speak with our experts at 413-896-9240 to discuss your project details or send us queries and quote requests through this Contact Us form and we will respond shortly.